State Rep. Noreen Kokoruda proudly represents the 101st General Assembly District, which encompasses Durham and Madison. She was sworn into office on Feb 25, 2011 after winning a Special Election and was reelected to her fifth term in November 2018. Noreen serves on the General Assembly’s Committees on Planning and Development, Children, Appropriations and Education. As a member of the legislature’s committee on Legislative Management, Kokoruda serves as House Republican Deputy Leader at Large. Kokoruda has lived in Madison for over 30 years and has spent the entire time dedicated to public service, and loves getting things done that positively impact her community. As Executive Director of the Shoreline Foundation, she worked for many years to provide safe and fun summer camps for local kids. She managed a $2 Million budget and oversaw the successful opening of the AquaDome, where children learn to swim and senior citizens can stay fit. Noreen served as Chairman of Madison’s Beach and Recreation Commission for almost 10 years. While on that board, she worked for expanded recreational programs and additional playing fields, such as Exchange and Lowrey fields. She also was a leader in the acquisition of the Rockland Preserve for open space. She served on the Town Hall Building Committee that created the Town Campus and updated Memorial Town Hall. Kokoruda played a pivotal role in initiating and forming Madison’s Energy Committee. Noreen was President of the Youth Lacrosse League and Founder of the girl’s program. Over the years as a board member, she raised much-needed dollars for Madison ABC and the town library. Her generous spirit and ability to rally the troops have furthered many causes. Gov. Rell appointed her to The Connecticut Commission for Community Service. As a mom, Kokoruda was president of 3 different PTO’s. She was a leader in CTE (Concerned Taxpayers for Education), an earlier grass roots group working to get education budgets passed. She fought to replace out of date textbooks and limit class size. She pushed for stronger teachers and correcting the conditions of the school buildings. 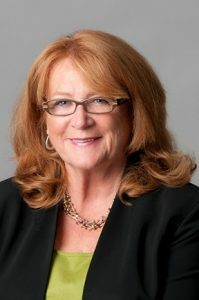 During her thirteen year tenure on the board of selectmen in Madison, Kokoruda garnered a reputation for fiscal sanity, while maintaining municipal services that are the envy of the region. She believes that we must cut our bloated state government before talking about tax hikes. Kokoruda led the effort in Madison to get all the schools renovated. Today the LOCAP (Long Term Capital Projects) sets aside over $1 Million per year to fix up our buildings and she was the key initiator. Since that was established Brown Middle School HVAC has finally been corrected, the overcrowded cafeteria has been enlarged and the whole building has been redone. Every school has been impacted (and continues to be) by this fund. Kokoruda championed for a new high school and when the first vote went down took a leadership position to finally get a new high school built. During her tenure she has supported over 75% increases in funding for education and an additional $12 million for renovating our schools and other town facilities such as the Surf Club. Kokoruda has always fought to keep a bipartisan spirit in local politics, and has worked diligently to keep that same attitude in Hartford. She feels that the people you serve must be put before politics. Kokoruda lives with her husband Dan in Madison and they have two adult sons and five grandchildren.